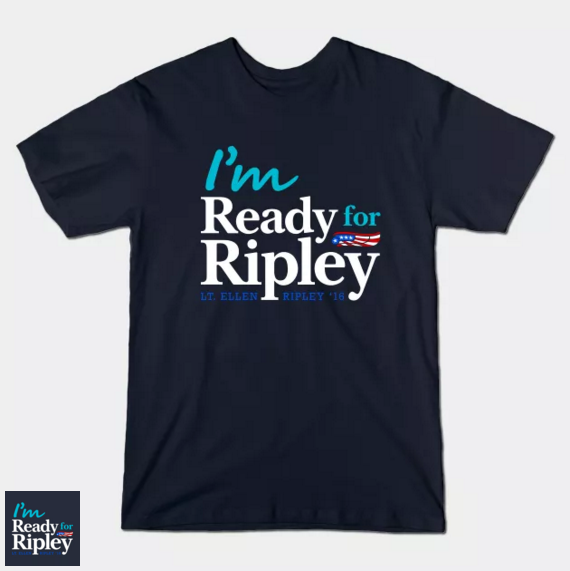 Ellen Ripley for President: Shirts at TeePublic! Put my design up on TeePublic. It comes in two slightly different versions, one for royal blue and one for navy blue. Final garment color is up to you. I’m more partial to the royal blue version. 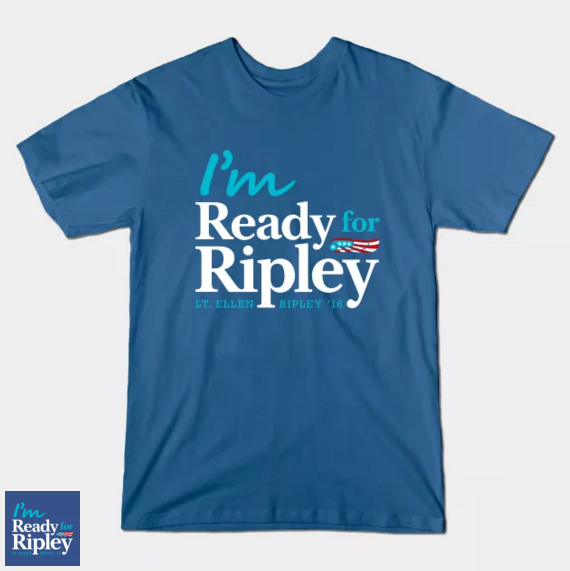 Author Staff WriterPosted on March 19, 2016 Categories Design, Physical ObjectTags Advertisement, Alien, Aliens, Election, Humor, Parody, Politics, Ripley, Shirt, Sigourney Weaver, Silliness, TeePublicLeave a comment on Ellen Ripley for President: Shirts at TeePublic!